Recently the star KIC 8462852 (aka Tabby’s Star) has made news again because of its strange behavior. Possible explanations for its varying brightness (such as comets) don’t seem to fit the observational data, which has some speculating that the star’s behavior could be explained by the presence of an alien civilization. While many astronomers admit that is a possibility, they don’t think aliens are the likely cause. For one, mysterious behavior is not enough to conclude the cause is aliens. For another, the likelihood that an alien civilization actually exists is still a matter of some debate. The odds of an alien civilization coexisting with humans is often calculated by the Drake equation. It was first proposed by Frank Drake in 1961. Simply take the rate at which stars form in our galaxy and multiply it by the fraction of stars with planets, the average number of planets per star that could support life, the fraction of those that actually develop life, the fraction of life bearing planets that develop civilization, the fraction of civilizations that have detectible signals, and finally the length of time a civilization might last. Crunch the numbers and you have the number of civilizations in our galaxy capable of communicating with us. When Drake first proposed the equation, the values for each term were largely unknown, but we now have good estimates for many of them. We know that most stars have planets, and the odds of a potentially habitable planet is actually quite high, possibly as high as 100 billion in our galaxy alone. 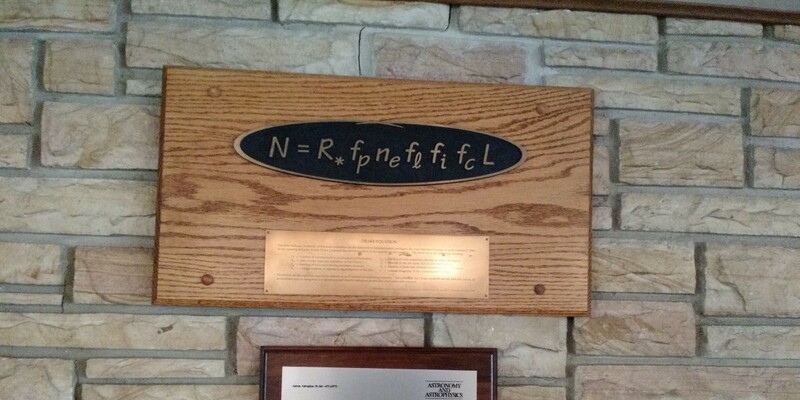 Unfortunately the really important factors of the Drake equation are still completely unknown. On how many potentially habitable planets does life actually arise? How many of those give rise to civilizations? How long does a typical civilization last? No idea. Depending on the answer to those questions the number of civilizations in our galaxy could range from hundreds of thousands to only one. The equation was never intended to give an absolute number, though it is often used that way. There are also alternatives such as the Sara Seager’s equation, which focuses on our ability to detect civilizations indirectly rather than requiring active communication. Just because an alien civilization is quiet, that doesn’t mean we can’t see evidence for them. Seager’s approach is to focus on stable red dwarf stars with known potentially habitable worlds. Since red dwarf stars are by far the most common, the odds that we’d find alien life near such a star is higher. She then focuses on planets that transit their home star from our vantage point and are near enough that we have a chance of observing the effects of the planet’s atmosphere on the star’s light. She estimates that there might be two inhabited worlds might be detectable in the next ten years. Of course this presumes that life forms readily on a habitable planet and survives billions of years, which might not be the case. 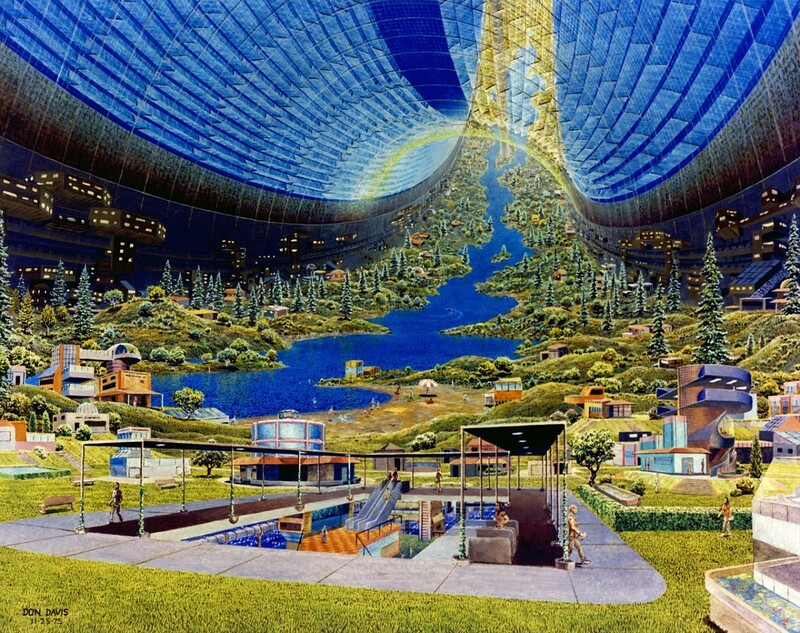 Even NASA has toyed with the idea of large space habitats. Credit: Don Davis. What make’s Tabby’s Star particularly interesting is that it hints at being evidence of an artificial structure the size of a solar system, such as a Dyson sphere, which is something only highly advanced civilizations could create. Of course the big underlying assumption here is that the more advanced a civilization is, the more likely it will build such a structure. The idea was first presented by Nikolai Kardashev in 1964, who proposed a classification of civilizations based upon their energy use. Type I civilizations harness the resources of their home planet, such as humans today. Type II harness almost the full energy of their home star, possibly through technology such as Dyson spheres. Species within the Star Trek universe would typically be Type II. Type III are civilizations that can harness the energy of an entire galaxy, such as the Asgard of the Stargate universe. Carl Sagan later generalized the Kardashev scale to a logarithmic function of energy use, and estimated that we were at about 0.7. The Kardashev scale presumes that more advanced civilizations will necessarily demand more energy. Humans have so far lent credence to this idea, since our modern global civilization consumes much more energy than earlier agrarian civilizations. If our human population and demands for technological convenience grows, we will likely expand out into the solar system with a continued rise in energy consumption. But such a future is not guaranteed. It’s also possible that we will instead reach a stable and sustainable population level, and combined with increasing energy efficiency our energy consumption may flatten. 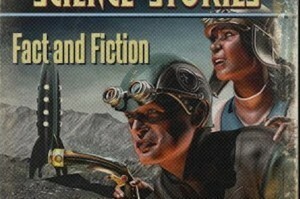 Technological civilizations may stabilize at type I rather than continuing up the scale. That’s the real challenge with calculating the odds. Everything we’ve pinned down so far point to a good chance that life forms on planets across the Universe, but there’s still too many unknowns. I’ve heard it argued that the universe is designed such that alien cultures from different star systems, never mind galaxies, can never contact one another, except forensically. Designed would denote theism, and physics does not acknowledge this reason for the universe’ existence. Although I whole heartedly believe there is life elsewhere, statistics demand it, but I don’t believe that any of the first generation stars and their galaxies could have supported early life (billions of years before us) for the simple fact that those stars are quite short lived and marvelously destructive to their environment when they “expire”. In other words, I don’t believe any intelligent life began much sooner than we did, so likely are not star travelers yet. Great articles sir, I read every one, any other viable science sites are presented to the layman in what I’m sure is ancient Greek. Radio is arguably the first technology developed by human beings which allowed us to communicate with and detect signals from the cosmos. The first radio broadcast was made in 1895 (one could argue that radio technology was so primitive as to be useless for interstellar communication at that time, but let’s leave that aside for now). On the other hand, atomic weapons were first detonated on a large scale less than 50 years following the invention of radio. That means that human beings had a 50-year window during which we could communicate with the stars before we gained the ability to annihilate ourselves. Add to that the fact that the observable universe is 13 billion years old and it’s all too apparent that humanity’s existence in cosmic timelines is minuscule. We’re just a blip on the universal radar. I don’t doubt that there are millions of sentient beings in the universe. The contentious part is whether our civilizations will exist long enough to cross paths with each other. I am 100% certain that our human species is not alone in our so called big bang universe. The chance of meeting other advanced life is near zero. Because of distance, location and for a variety of reasons are never able to develop for extensive space exploration and travel before major set backs or extinction. Nice drawing of the space station! Gigantic pine trees or tiny houses, very exotic. Anyway, that Tabby’s star thing is just a defect in the Kepler telescope. All anomalies only occurred when the telescope was oriented in the same way (it turned four times a year). The 100 year slow dimming of that star is different. That could be astrophysical. But it seems to be complicated to analyze historic photographic plates in a proper way. One has to account for what chemicals were used at different times and places and how they have aged, at what observatory with what optics and on and on a bit beyond common astronomy today. I imagine that there’s room for some debate about the interpretation of this complicated data, if there are people around who are knowledgeable enough to debate it.